Rambler has hit the jackpot, thanks to the efforts of Karen Barnes and her relentless combing of the Los Angeles Shelters. Rambler was picked up as a stray in Los Angeles, and his owner was located via a microchip. The owner came to the shelter, saw him, and then left saying he did not want him. So Rambler is our newest Thulani Program dog. Rambler is a wonderful, gentle soul that likes dogs, likes people, likes cats, and is a worldclass leaner. He takes treats gently, rides well in the car, is a bit wobbly in his rear end but really likes to motor along on his walks. 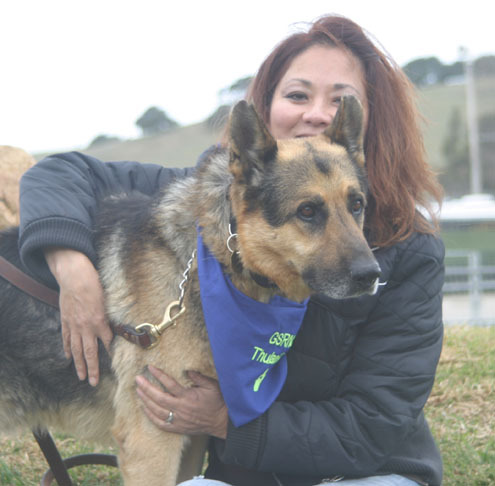 The picture is of Rambler and Karen, the woman who saved him and brought him to us. He is a level 1 dog that will live out his life in style as part of our Thulani Program. This entry was posted by admin on February 5, 2012 at 8:01 pm, and is filed under Recent News. Follow any responses to this post through RSS 2.0. You can leave a response or trackback from your own site. Thanks for the reply, and thanks for catching the typo in the letterhead. That is really embarrassing. I’ve corrected it, but one of my co-volunteers has just indicated that he now understands my true agenda–sigh. It is great that you are working with Coastal GSR. If you guys run into a Thulani Program candidate and can’t accommodate it within your program, please contact me and we will see what we can do. The loose criteria are that the dog must be a GSD, must have no dangerous behavioral characteristics, and that it have an expected lifespan measured in months, up to perhaps a year. 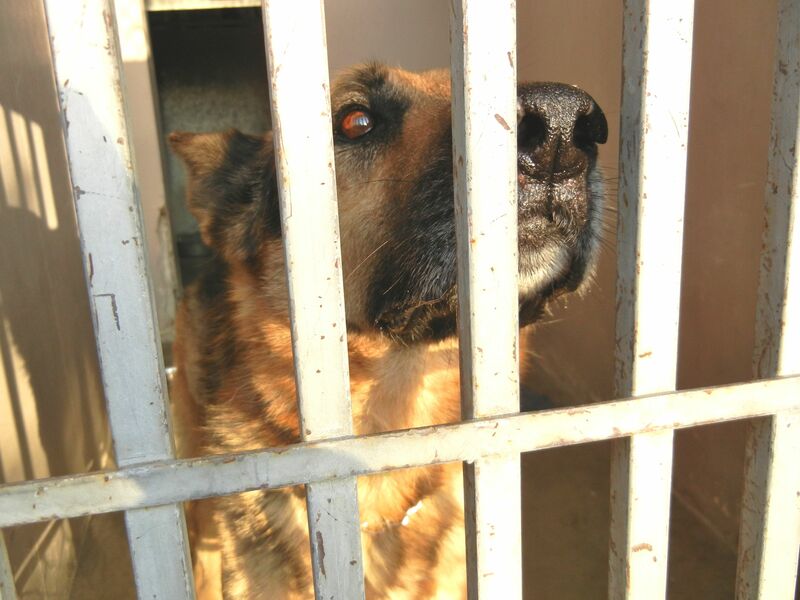 Thanks for your support and for the work you do saving GSDs. Thanks again, Bob. I will pass on the Thulani Program information to the head of Coastal and we will keep you in mind. We are extremely fortunate to have many dedicated volunteers who never cease to amaze me in their generosity of time of money when it comes to older dogs in need. It’s great to be on the same page.